Written by Allison Perry. Media by Tawnie Kozora. As a college student, the thought of spring break is the only thing that pushes me through the first half of the spring semester. While many college kids like to take road trips, go to the beach and get a taste of pre-summer fun over spring break, I prefer to stay home. Staying home over spring break may sound lame, but I have a very strong appreciation for all that comes of it. 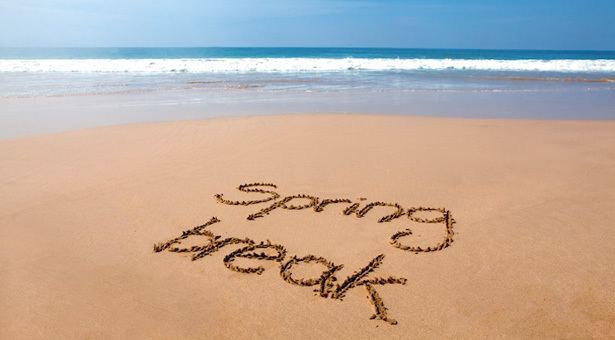 First and foremost, staying home for spring break saves a lot of money that would otherwise be spent on food, hotels, gas, and souvenirs bought on trips. Second of all, instead of spending money staying home allows the option of taking extra hours at work and actually making money. 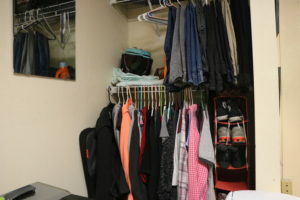 A very clean closet. Media by Tawnie Kozora. If you don’t want to work over spring break, though, there are many other productive options, as well as fun options. Over spring break I like to organize my closet. I go through and look for clothes I didn’t wear through the winter and spring clothes that aren’t my taste anymore and take them out of my closet. First, I offer them to friends and what is left is bagged up and donated. Another option is to sell the clothes online or take them to thrift stores. After letting go of clothes I don’t wear anymore, I make sure all my clothes I kept are in the right order. I prefer for my closet to be color coded and for long sleeves to be on one side, short sleeves on the other and tank tops in their own section. Pants, undergarments, and pajamas belong in their own separate drawers. A Tale for the Time Being. Media by Tawnie Kozora. Visiting with family is always the best decision over spring break. Go see your Grandma, eat dinner with your parents, stay all night at your sibling’s. Remind your family how much you love them and spend time that you don’t normally have with them. My plan for this break is to take a trip to see my Grandma, stay with my sister one night, and take a trip to Chicago to stay with my cousin for a couple nights. With that being said, if you know someone who lives somewhere where there are a lot of cool things to do, ask if you can stay with them a couple nights if you really want to get out for a while; it’s cheaper than taking a weeklong trip, and also you get to visit with someone you love. Read a good book over spring break. Through the semester, I find myself exhausted by nonfiction educational reading assignments, which don’t even make any sense to me most of the time. I crave the enjoyment of a beautifully written work of fiction. 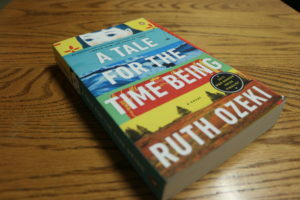 Spring break is the perfect opportunity to enjoy a book and know that there won’t be a quiz over it the next day! 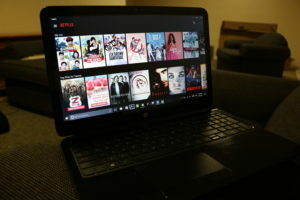 The least productive thing to do over spring break, but probably the one we all secretly dream of doing, is to binge watch on Netflix! Some popular shows to watch right now are Shameless, How to Get Away with Murder, The Fosters, and Santa Clarita Diet. Lastly, my least favorite option, but the most necessary one, is to get ahead on homework. Personally, I have a midterm paper that is assigned the day break starts and due the day after we come back, so I am definitely going to write it over break. I also plan to read a book that I have a project due for just two weeks after break. I know this option sounds awful, but I will also thank myself once it’s done because I know my stress level would be at 100 when spring break is over if I don’t take care of some school work over break. Staying home for spring break can be just as great as going on a vacation. If you know how to manage your time well you can have fun and be productive. Think ahead and plan out your break so that you can do everything you want to do, all while sleeping in your own bed and(hopefully) giving your wallet a break. Staying home during spring break is actually fun. More time with your parents and siblings.